I haven’t updated my info about Liberty Ridge since back in 2008. Hard to believe its been six years since they started putting in the roads. 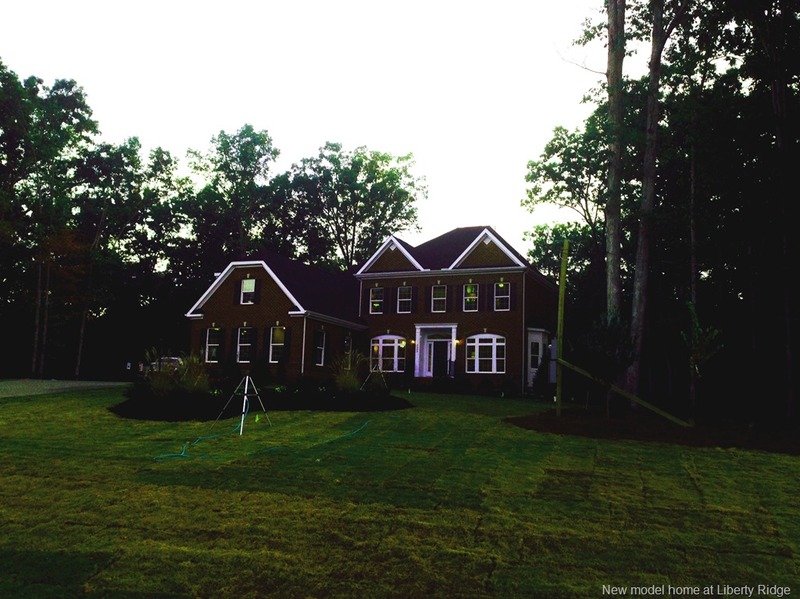 The newest phase consists of 32 private wooded homesites, featuring stunning new luxury estate homes. A new Classic Home Collection will be featured by RYAN Homes, part of the NVR Homes family on the new Mallory Place cul-de-sac in Liberty Ridge. The timeless Traditional style homes will offer spacious, open floor plans starting in the $500’s to over $800,000. 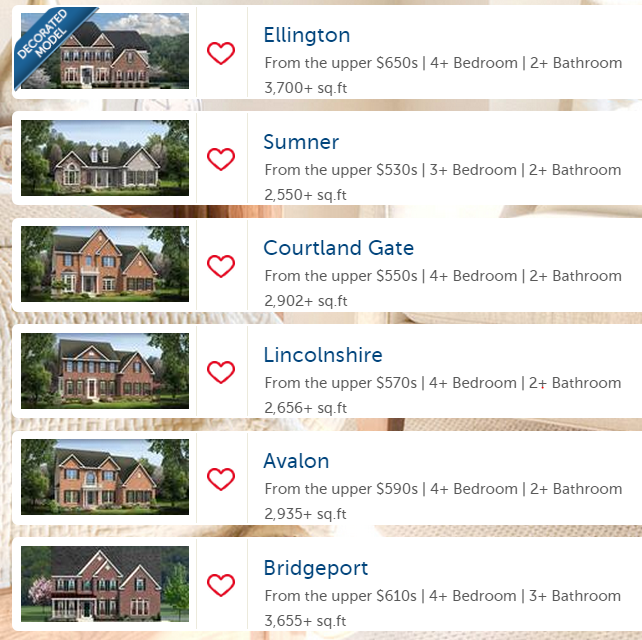 These homes feature many luxury interior features, exteriors with brick, stone and Hardiplank, and quality appointments like hardwood floors on the main floor, granite counter tops, and innovative floor plans. 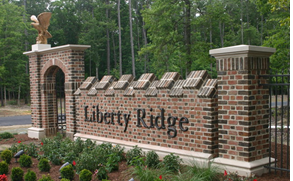 Liberty Ridge is designed for luxury. From the stunning wooded views to the gorgeous homes, this is Williamsburg’s most comfortable new community. These spacious homesites create a private enclave where you and your neighbors share scenery, not each other’s backyards. The community is committed to protecting and preserving this spectacular environment ensuring a greener existence for all who live there. The fully furnished model is opening this weekend. ( Oct 11, 2014) I’d be happy to show you the new plans and explain the special benefits of living in Liberty Ridge and their beautiful, estate-size properties and convenient location just 10 minutes to Colonial Williamsburg. Preview The Ellington Model virtual tour by clicking HERE. A total of 138 homeowners will be able to call Liberty Ridge home once the community is fully built out.. Home sites are all a minimum of 3 acres. There are larger lots as well ,some as large as nine acres in size. Home buyers looking for larger lot neighborhoods in the Williamsburg Va area have a variety of other communities to choose from . Westport Skimino Landing Estates along with The Conservancy, The Retreat , Wexford Hills, Woodland Farms, Merry Oaks, Uncles Neck and Banbury Cross are the most popular neighborhoods. Most of these offer 2+ acres yards. There are also numerous parcels off of Forge Rd, Brickbat Rd and others throughout the area that are simply rural or non neighborhood locations.Most of these are typically in the western part of James City or York County. Westport at Fords Colony, the upcoming community right down the street from Liberty Ridge also offers 3+ acre estate lots.Its location is just outside the Manchester gate of Ford’s Colony on Centerville Rd. . As an added bonus homeowners in Westport will be members of and enjoy the amenities of Ford’s Colony. The other model home currently built at Liberty Ridge is The Breakwater Home , a William E. Poole Plan built by Michael C. Brown Builders. the 4633 square foot estate home features a master suite on the first and second levels, an open Kitchen to the family room, a large Family Entertainment Room over the three car garage and many fine authentic details throughout the interior. 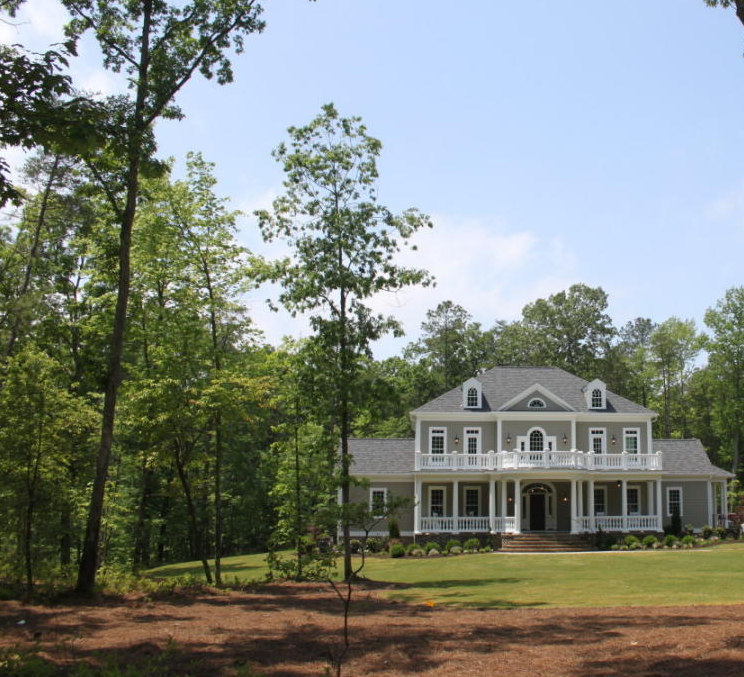 The Michael Brown Builders home is currently priced at $1,275,000. Some of the amenities planned at Liberty Ridge by the developer ( East West) will include two community parks with picnic tables for social and picnic gatherings as well as a community walking and biking trail system that will provide opportunities for residents to explore the natural beauty of the land. And with the county’s 689-acre Freedom Park next door, Liberty Ridge homeowners can add mountain biking and hiking to their list of pastimes for enjoying the great outdoors. The 601-acre Freedom Park is home to significant American history – recognized nationally as the site of the earliest free black settlement dating to 1803-1860, an 18th-century graveyard, the Revolutionary War Battle of Spencer’s Ordinary in 1781 and a 17th century domicile that is revealing much archaeological research of the early colonial period (1680-1730).. Also located in the park are the Williamsburg Botanical Garden, A brand new interpretive center, two miles of multiuse trails and more than 25+ miles of mountain bike trails. and the latest addition Go Ape Treetop Adventure Course ,an outdoor experience that provides participants 2-3 hours of outdoor fun and exercise. The result is spectacular. The course allows participants to explore the park from an otherwise unobtainable vantage point while navigating through the treetops using zip lines, obstacles and tarzan swings. The developer of Liberty Ridge, East West Partners has been developing award-winning communities and resorts in seven states across America since 1972. Their first effort way back in 1972 was Brandermill in Chesterfield County , VA now home to 4,400 families it was named the “Best Planned Community in America” in 1977 by Better Homes and Gardens Magazine and the National Association of Homebuilders. Other award winning East West communities include Gatling Pointe in Smithfield, VA, The Riverfront, the developer’s second master planned community in Hampton Roads, Eagle Harbor and Founders Pointe, both in Isle of Wight County. For parents desiring private school options there are numerous choices including Walsingham Academy, Hampton Roads Academy, Williamsburg Christian, Providence Classical Williamsburg Montessori and more. 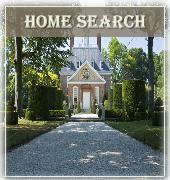 Click here to search for homes for sale in greater Williamsburg. What’s your real estate story? Tell me about the places you’ve lived and where you’re hoping to live.